If I had a wish list of materials or manuscripts that could have been saved from the destructive explosion and fire in the PRO in 1922 the 1821 census would be high on the list. In fact, it might actually make the top of the list. The reason for this is that this census named every man, woman and child in Ireland two decades before the Famine (the 1831 census named only the head of household). It also names many people born in the eighteenth century. The 1841 and 1851 census returns also perished in the PRO at the same time (those for 1861-1871 were destroyed shortly after they were taken and those for 1881-1891 were pulped during the First World War as there was a paper shortage). William Saw Mason was charged with the task of administering the 1821 census. The enumerators employed were mostly tax collectors by profession. In an effort to overcome the populations hostility contact was made with local clergymen, who were asked to assist in 'controlling the proceedings of the Enumerators and for removing any prejudices that might tend to produce and unkindly feeling towards them in the minds of the lower classes' (Counting the People, E Margaret Crawford Four Courts Press, 2003 page 14). The suspicion of the majority Catholic population on the island was understandable since the penal period was still fresh in the memories of the older generation and Catholics had yet to attain complete emancipation from these punitive laws (the Catholic Emancipation Act was enacted in 1829). The enumerators were also regarded with suspicion given that most were identified with the landowning class. 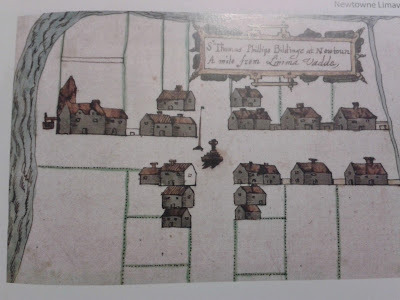 The greatest obstacle in the administration of the census was the lack of maps defining spatial boundaries and incomplete lists of townland and parish names. This may have resulted in a degree of under-enumeration. The official population of Ireland from this census was 6.8 million (but according to JJ Lee this was underestimated by about 5% and his estimate was 7.2 million). The census was quite simple in its layout and that perhaps was its greatest strength. There were seven columns on the form as one can see below for Cran in Aghalurcher parish in Co Fermanagh. 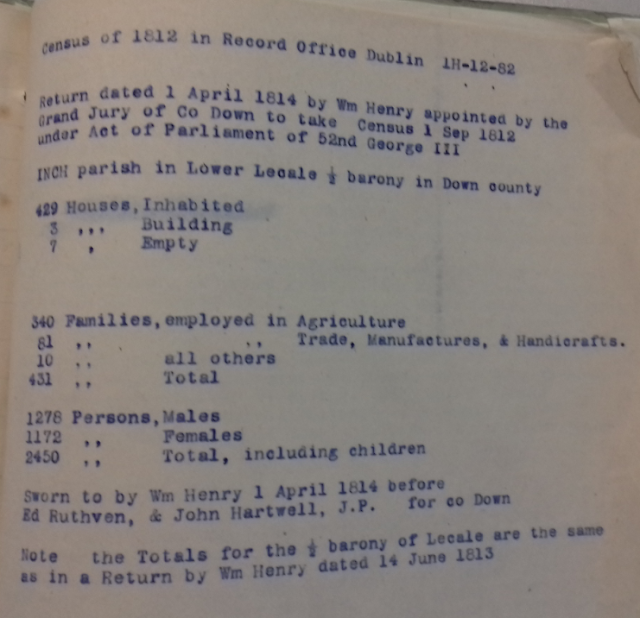 In the second column a simple observation indicated the number of stories in the house - for most rural parishes one was the most common return but in urban centres such as Dublin multiple stories would have been recorded here. The third column identified each of the inhabitants in the house on census night (28 May 1821) and the relationship of each to the head of household. The fourth and fifth columns indicated the age and occupation of those present of working age. The sixth column gave some very useful information as it indicated the approximate size of the farm or the landholding. 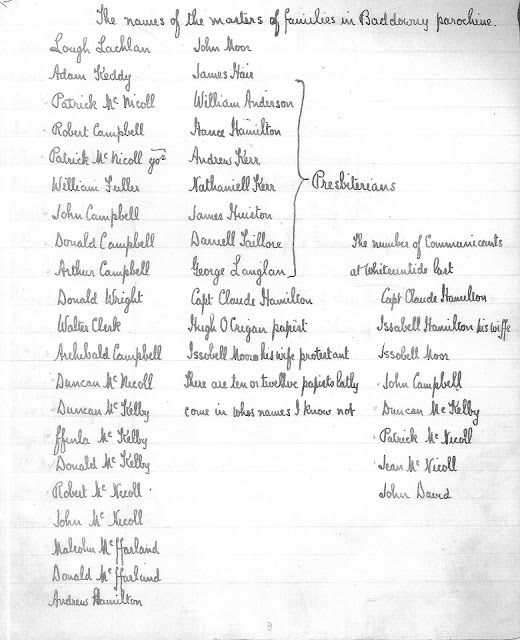 The final column recorded any additional observations by the enumerator (examples include recording land held in a different townland or that a flax mill was operational on the farm or in one case where the enumerator recorded 'husband in America'). The example above is from the townland of Cran in the parish of Aghalurcher in Co Fermanagh. Cran is a townland close to the town of Fivemiletown, which is in Tyrone. 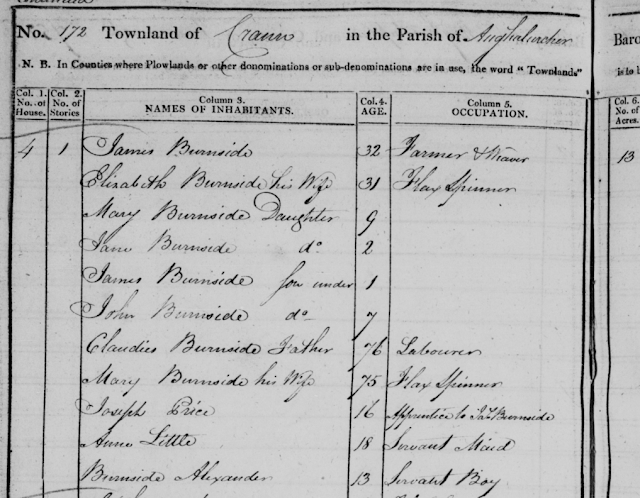 Although James Burnside, farmer and weaver is recorded as head of household on census night we can see that his parents are recorded in the household. 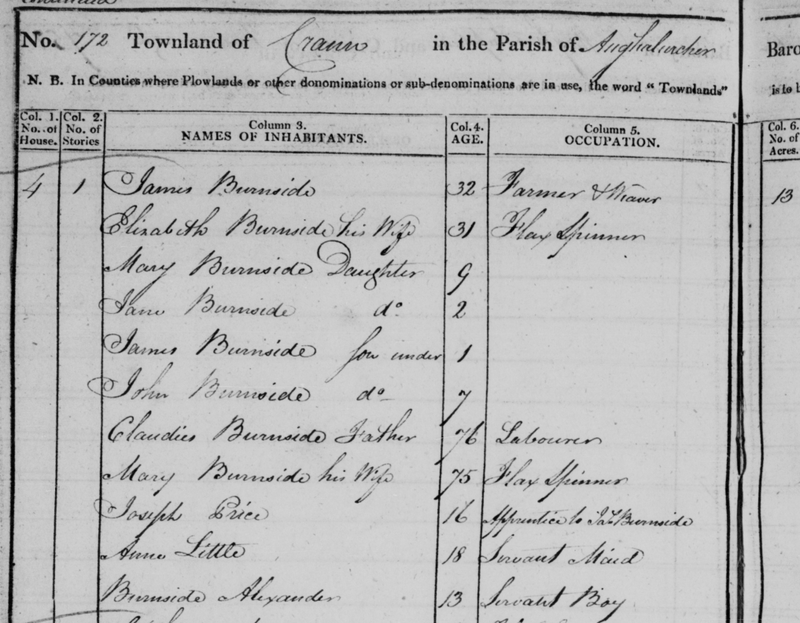 The details in the 1821 census can take this Burnside family back into the mid eighteenth century. Claudius Burnside was listed as a labourer but his son James held a farm of some 13 acres. In addition to being a farmer James Burnside was also a weaver and he had an apprentice resident in his household by the name of Joseph Price. In addition there were two servants in the household including 13 year old Alexander Burnside, most likely a relation. The tithe book for Aghalurcher (1833) lists a Matthew Burnside in Cran. Thus we have some name indicators for the Burnside family of Cran that are indentifiable markers - Claud, James, John, Alexander, Matthew that would help in the further research into this family. The Church of Ireland church records for Aghalurcher parish could be searched (baptims 1788 onwards; marriages from 1801 and burials from 1802). Since Cran lies close to Fivemiletown the records for this area should also be searched. 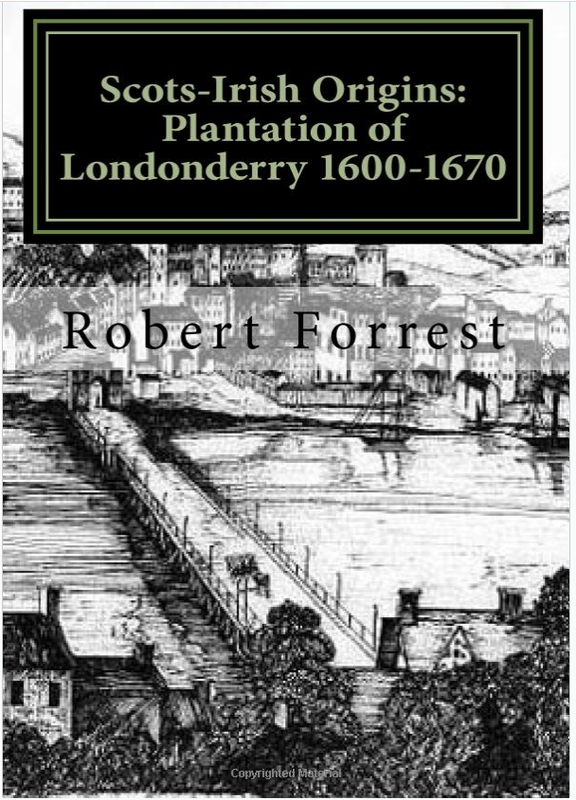 The fact that the family possessed a farm of some 13 acres also opens up the possibility of research into land records such as the Registry of Deeds or landed estate records. A look at the Griffiths returns for Cran 1862 reveals that the landlord was Victor Brooke, which opens up the possibilty of research into the Brooke estate records (see below). Interestingly the Griffiths valuation returns for Cran reveals that a Rev William Burnside was resident there in c1862, which might be coincidental but it is possible he was a relation. Dec 19th 1673 - Anthony son to Claud Burnside of Ramult. Note - surviving returns for the 1821 census can be browsed or searched at the National Archives Genealogy website.